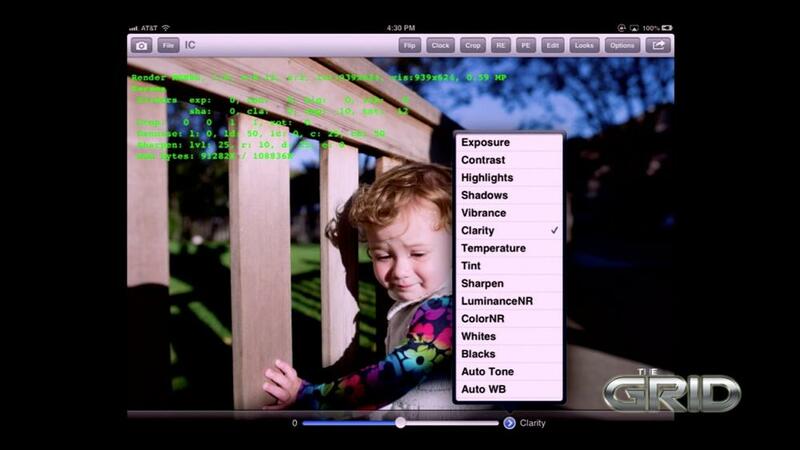 A popular professional desktop photo editing software could soon make its way to tablets. According to CNET, Adobe is planning to release a tablet version of Lightroom, the company’s pro software for processing and editing raw images. While Adobe already has smartphone- and tablet-dedicated apps, the Lightroom app (or some version of it) will be closely linked to the desktop version. Yesterday Adobe demoed a Lightroom-like prototype on an iPad 2 during The Grid, an online show hosted by imaging pros Scott Kelby and Matt Koskowski. In the show, Tom Hogarty, Adobe’s Lightroom group product manager, showed off RAW editing including Lightroom develop-module parameters like exposure, clarity, shadows, highlights, and white balance; cloud syncing (edits on a tablet can be picked up from a PC); and 100-percent zoom-in to check focus and details. Hogarty said that while Adobe is strong on the desktop, it needs to “better incorporate Internet connectivity and mobile devices into photography workflow.” The one thing Hogarty did not reveal was release date or full details about what the final software would look like (in fact, the prototype isn’t even labeled as Lightroom). Hogarty mentioned that tablet computing limitations would affect performance; as any pro photo editor will tell you, processing RAW, high-res images is a computer-intensive job. It could be that Lightroom on a tablet would be more of a companion to the desktop version of Lightroom, not a replacement or alternative. But with Adobe continuing to push its Creative Cloud platform, we can expect cloud syncing to play a big role.